Fairy stories are part of childhood –but how does one go on from childish delight in princesses and magic to writing dark urban fantasy for adults? Angela will discuss the Verity Fassbinder trilogy, which is set in Brisbane. 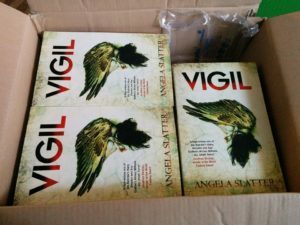 This entry was posted in fairy tales, News and tagged angela slatter, hachette australia, jo fletcher books, Logan North Library, Verity Fassbinder Trilogy. Bookmark the permalink.